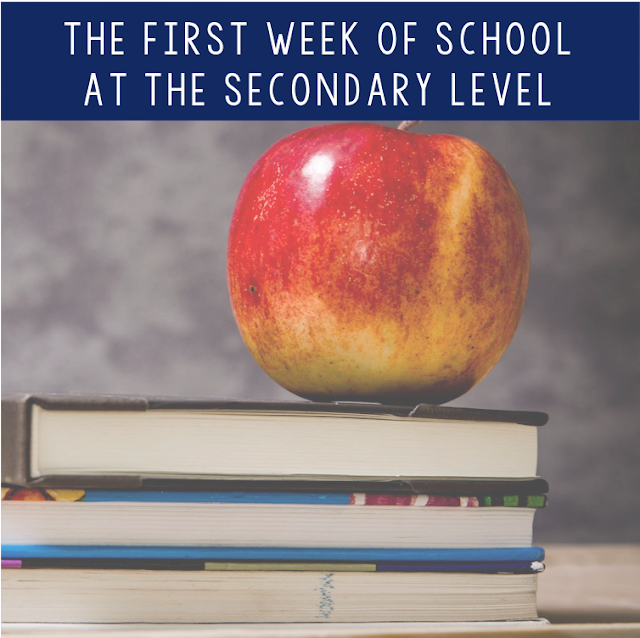 After posting a snapshot of some preplanning for the first week of school, I've gotten lots of questions about how I'm going to conquer it all. So, I'm going to break it down for you with explanations and links where applicable. I hope this helps! 1. Remind: My students will sign up for my remind notification groups. We use this system to meet state requirements for inclement weather days. We send out assignments and information using this system, so it's not optional. I love this system as it makes it easy to communicate with students without sharing either person's numbers. It also tracks all conversations for safety which is huge plus! 2. 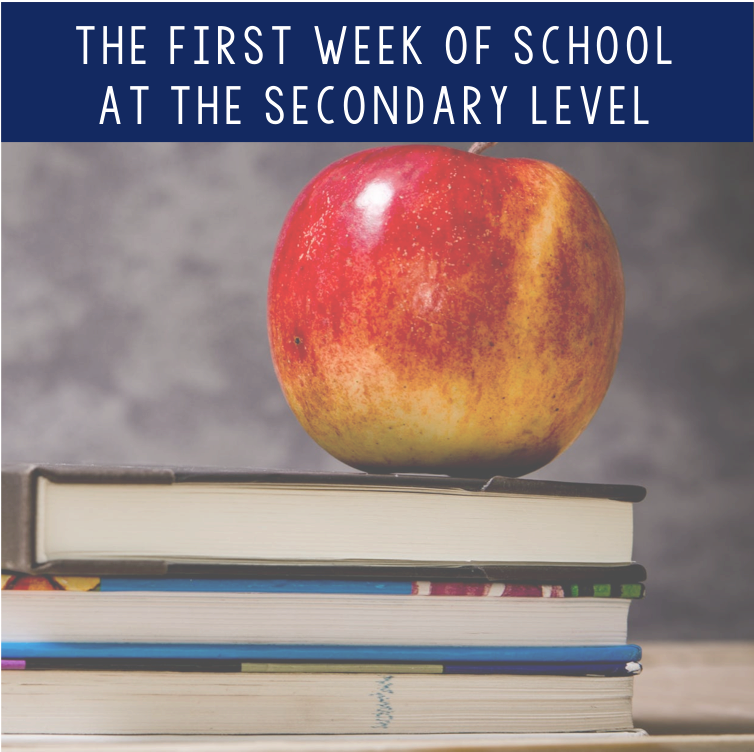 Murder Mystery: I don't want to go over the syllabus on day one. Do you know how bored you would be if you went over four (we're on block schedule) syllabi in on day, or Lord forbid you have to sit through 7 or 8 of them. Ewww. I wanted to do something fun here. I've tried different options, so I'm going to link the ones I've used before. These are a great way to get students thinking and interacting without any stress or disengagement. The Literary Maven's Crime Scene Activity is a great way to have students engaged and considering the importance of source types. I love that this activity can be personalized to fit your school! Another option is Peter Pappas' first day of school mysteries. There are two to choose from on the linked page: a murder mystery and a bank robbery. 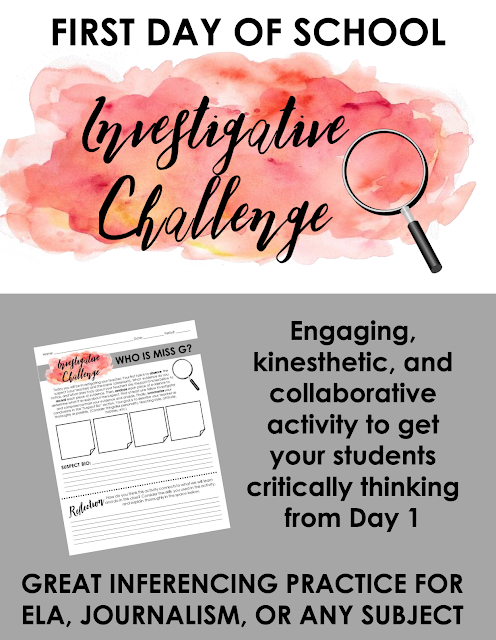 These are a little more basic as they require students to think critically about all of the clues to come up with the answers to solve these case. All you do is print the clue sheets and cut them into pieces for each group. 3. 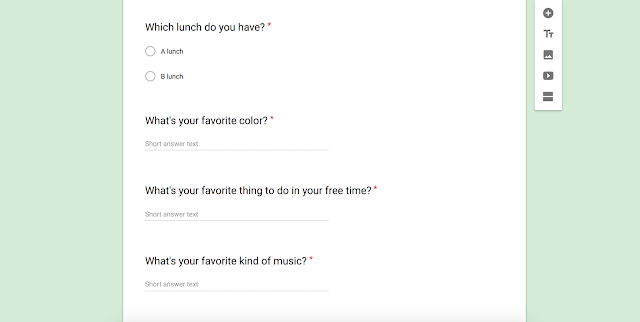 Parent Info: After sorting, losing, and shuffling for contact sheets for what felt like an eternity those first few years of teaching, I switched to google forms. 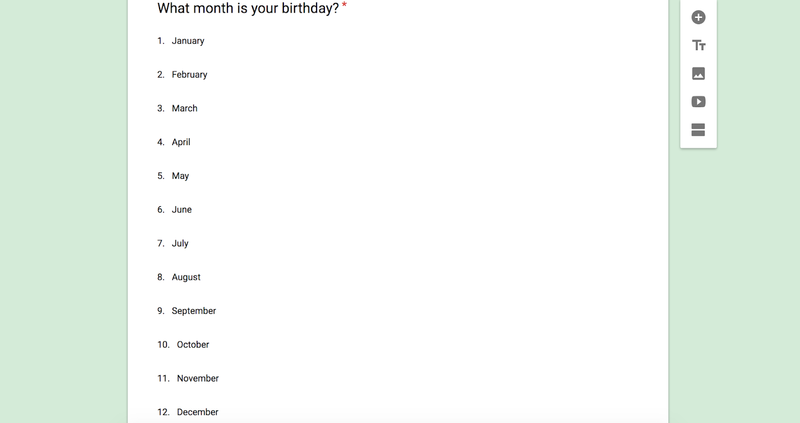 It's great because my students can fill them out quickly, and I have access to them no matter where I'm at or if the system is down at school: WIN! 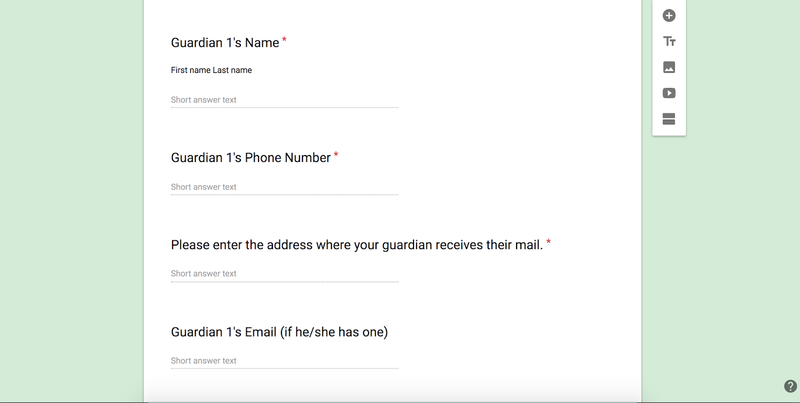 I've included screenshots of my form so that you can see what exactly I ask my students. 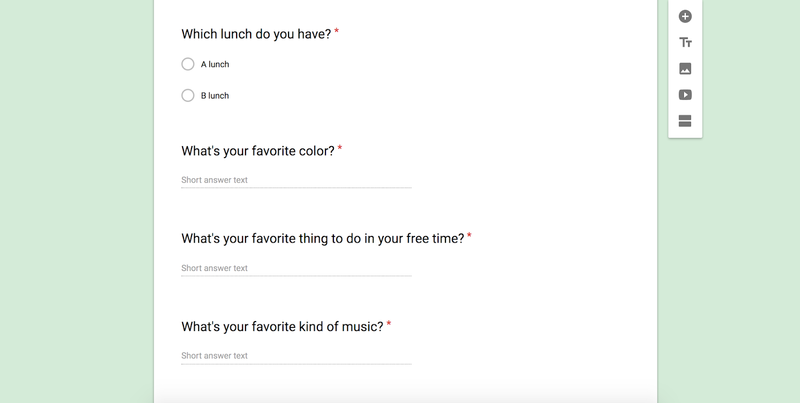 One of my favorite parts of google forms is that (besides being FREE) it sends the responses to a spreadsheet. Easy access! 4. 2 Truths/1 Lie Paper: The last thing we're doing on Monday is 2 truths and a lie...on paper. I'm going to have students write their name, two truths, and one lie on a piece of paper. They're going to identify which statement is a lie. I'll collect these on Monday and spend a short amount of time creating a kahoot for each class. I'll create a "question" for each student and a couple for myself. Then, the class will play kahoot, trying to guess which statement is a lie for each student. 1. Syllabus: I do have to go over my syllabus and the important information on it, so Tuesday is the day. 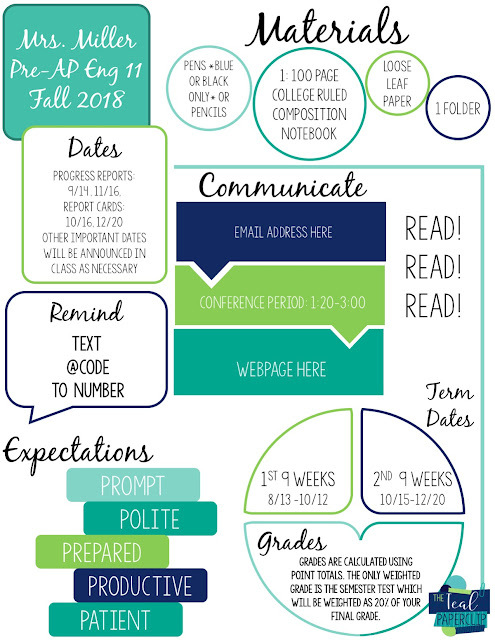 I use my infographic syllabus template to create my syllabus each year, and my students love it! This is the front page of one of my syllabi for this fall. 2. 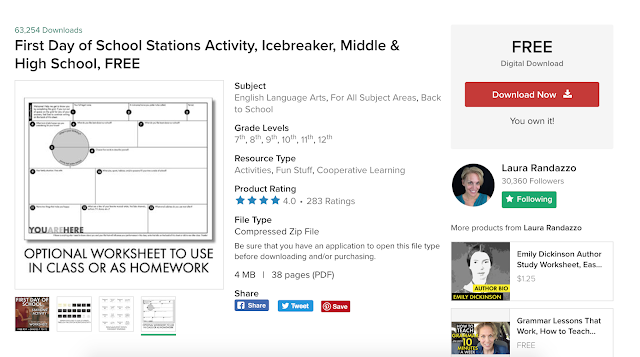 Investigate the Teacher: I love this activity by Write on with Miss G. It's gets students inferring and thinking about who you are as a person. It's a one pager, so it's low prep, high yield. 3. Kahoot: Remember that 2 truths and a lie activity that we did on paper yesterday? This is where we play the game that I created from each class' statements. This is a great way to build community and engage your students! 1. Read aloud: I love the idea of read alouds in all grades. There is so much our students can learn from storybooks. I got this idea from The Hanson Hallway blog. 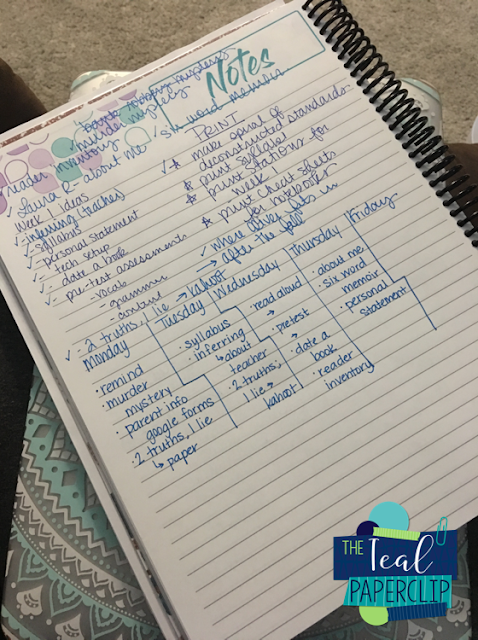 She provides a list of read alouds that she used for the 16-17 and 17-18 school year! This is a great place to start. Even if you don't feel confident reading a book each day, you can definitely read one each week! I think I'm going to start off with "What do you do with an Idea? by Kobi Yamada. Below is an image from The Hanson Hallway #classroombookaday display. Isn't it gorgeous! 2. Reader Inventory: After a short read aloud and discuss, I'm going to pass out my reading inventory. 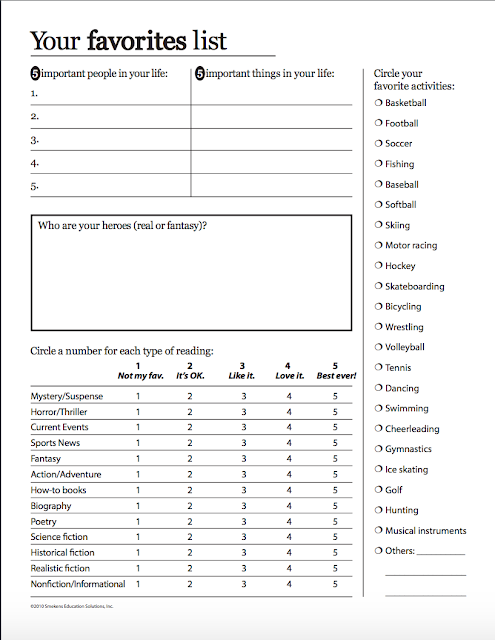 I love that this particular reading inventory has questions about people that are important to them, video games they love, things they enjoy and more. Then, it lets them rank the genres of books they like. This is a great reference point later in the year when students aren't sure what they want to read next. There are inventories for K-2, 3-5, and 6-12. Be sure to use the links to check out each inventory since there is a front and back for each inventory. 3. Date a Book: Lastly, we do a date a book, book pass, book tasting, whatever you want to call it. Essentially, I give my students a table to use as we read each book for a short amount of time, my comments about it, rate it, and later rank it. 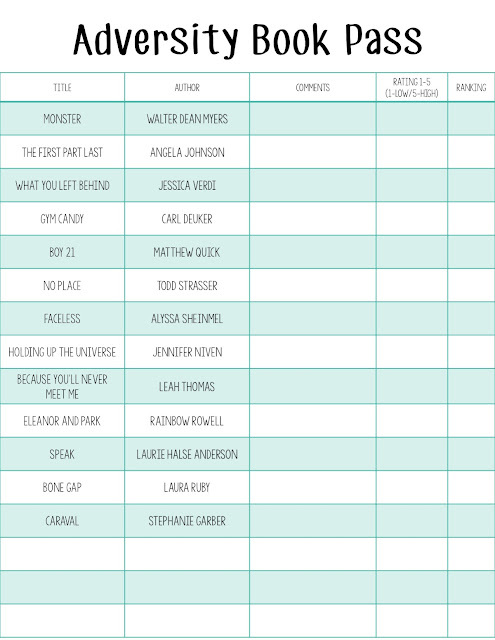 It's a really basic table that I create in powerpoint. You can see an example below. 1. 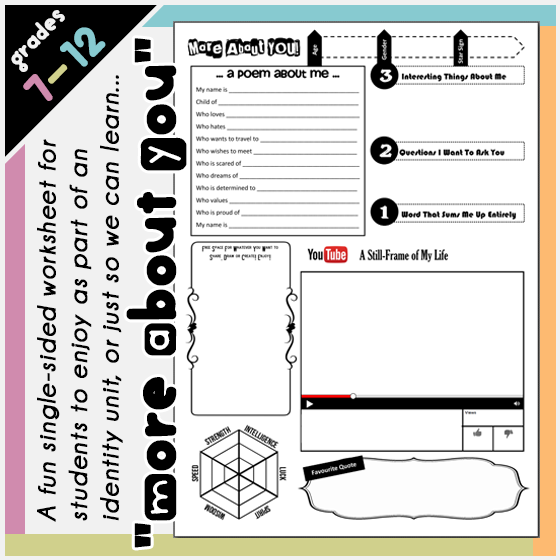 About Me: I like to give my students a way to share information about themselves. The more I know, the better off I am. 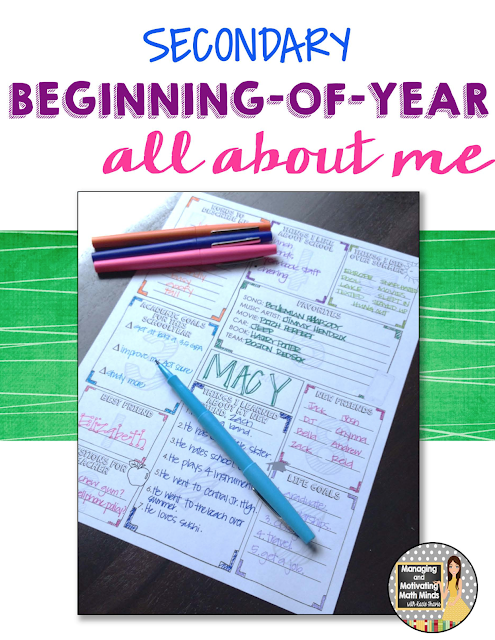 Some about me/interest inventories are not really geared toward secondary students. However, there are some great ones out there that are. I'm including some of the ones I've used and really enjoyed! Please check all of them out: Stacey Lloyd, Laura Randazzo, Kaci Travis, and Jadyn Thone. 2. Six Word Memoir: I just pull up the Six Word Memoir site to let students see examples. Then, I model writing one for them. Lastly, they write their own. 3. Personal Statement: I always want to take a writing sample from my students at the beginning of the year. They get so many "tell me about your summer" or "what did you do on vacation" prompts that it probably makes them sick. This is a great way for me to learn more about them and teach them to write a personal statement which is useful later on, especially when applying to specific fields in college. I haven't used this resource yet, but I have no doubt it will be great. 1. Pre-Assessments: We have some required baseline assessments that need to be given at the beginning of the year, so this is when I usually give them. It gets them out of the way and provides me with data from the get go. We will eventually do some ACT Aspire interims since that is the test my state requires, but my district also requires some Lexile level tests and other tests. I'll be using some grammar and vocabulary pre-assessments as well. They probably won't all get done on this one day, but I'll pick and choose one or two important ones and give them on this day. Please let me know if this was helpful or if you have any further questions! I hope this is useful as you plan for the upcoming year. Also, if you have amazing stuff you do during the first week of school, please use the comment section to share your ideas! I'm sure that everyone could use a few more amazing ideas to add to their repertoire. Stay amazing! I was wondering if you could share your pre assessments that you use.